Today a reliable SMS exchange is an important aspect of any transport telematics system. A GPS tracker which is installed in a car communicates with a server platform via SMS commands. The communication happens at the most critical moments: at the first connection, when there is no mobile Internet signal, and while being checked by a support team. This way, GPS tracking service providers need to take special care to keep SMS exchange running smoothly. It is worth noting that not only user experience depends on that, but also salary costs for installers and support specialists. There is no doubt mobile Internet is the major channel for M2M communication. Constant connection between a GPS device and a server provides real-time monitoring and offers min. communication costs. As for a SMS channel, it has a limited bandwidth and is more expensive. Why shoud you use it? Actually, there are only three cases when SMS channel can be absolutely necessary. Let’s take a closer look. Any network device that is connected to a server has to be configured to be able to send data over the Internet; a GPS tracker is no exception: you have to set IP address and a monitoring server port. Besides, as we are talking about mobile Internet, you will also need to enter access point name parameters (APN). Is it possible to configure these parameters manually? Yes, but it is extremely inconvenient and time-consuming. It will require some time even for a professional installer. He/she has to connect a laptop to a tracker (usually via a USB cable or Bluetooth) and correctly enter a set of numbers. And when this process comes to users, well, for the first time only a few will do it right. So today this method simply won’t do: what clients expect from modern smart devices is a “plug & play” connectivity. Besides, since GPS trackers are classified as smart devices, they should be tuned automatically. 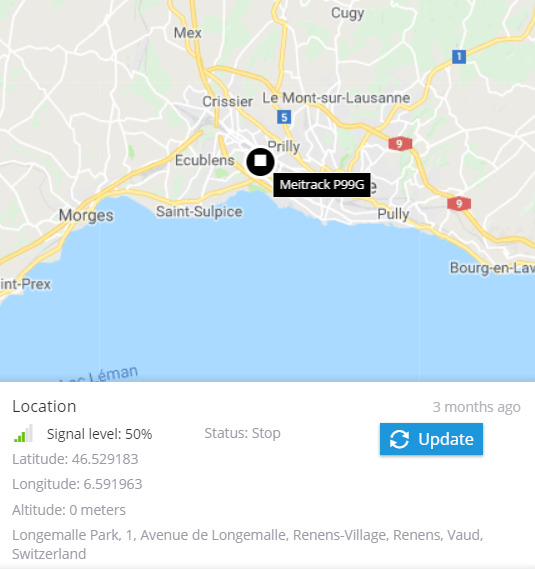 And here is why SMS channel is applied by a telematics platform — to make the initial configuration of a GPS tracker automatic. For both users and installers, the process is extremely simple: it is enough to select the needed device model from a list and enter a SIM card phone number. Then, the platform will send all the necessary initialization SMS commands to the device. Such connection takes less than a minute — a GPS tracker will be activated immediately. After that, the server finishes configuration via IP-channel by creating an optimal settings profile. This way, it guarantees a minimal amount of specialists time and SMS messages. It should be also noted that there are still GPS trackers (usually low-budget models) that apply SMS channel for configuring any other parameters. In this case, SMS channel is used not only at the first connection, but also for further configuration changes according to a client needs. We are all familiar with emergencies when it is difficult to determine an object’s location because of no mobile internet in the area or the service implies high expenses. Firstly, this can be caused by a weak cellular coverage in areas where the Internet connection is unstable or absent. It can happen not only in remote areas, but also in urban environments, for ex., in underground parking lots. Secondly, roaming charges for mobile data can be too expensive: when it comes to cross-border transportation, mobile Internet costs can exceed a reasonable budget. This way, SMS is once again helping us out. It can be used as a backup channel for information exchange in areas with a poor Internet signal. As for travelling abroad, SMS requests can be also used to get an object’s current location (some GPS tracking platforms offer this feature). Despite its additional cost, it will be cheaper to send several SMS messages in roaming than have a permanent Internet connection. Besides, you won’t lose your data: the whole trip track can be downloaded from a GPS tracker’s memory upon returning to a home network. You can get the latest location by clicking on “Update” button as it is shown on the picture above. Let’s take a real-life situation: while monitoring a user suddenly loses track of a GPS device and ,of course, the first thing that comes to one’s mind is to call a support team. In this case, the following question will inevitably arise: “Why can’t I see my vehicle for such a long time?”. Such a question can put a call-center operator in an awkward position if there is no opportunity to remotely diagnose the device. Apart from this, prolonged disconnection from server can be often caused by poor Internet connection, but once a car returns to an area with a stable signal, all the tracks and monitoring process will be automatically recovered. Problems with hardware are less frequent, but one can not exclude them, especially when there are thousands of connected objects. We all know that to maintain customer loyalty, it is important that a GPS monitoring service provider records and completes all the requests. Therefore, support team specialists have to make sure that devices are configured and functioning correctly. One way to do this is to connect to a GPS tracker via SMS channel. Sometimes SMS delivery itself helps to confirm or localize a technical problem. For instance, when a device does not respond to diagnostic commands, it is likely to be malfunctioning. Thanks to remote diagnostics and configuration of GPS trackers through SMS commands, it is possible to quickly correct or improve device operation and solve technical problems without the need to spend extra money on clients visits. Two-way communication. A platform should be able to send messages to devices and receive responses from them. To receive messages, it needs a permanent and specially dedicated number (a long one) to be compatible with all models of GPS trackers. Sufficient bandwidth. When one has to serve many devices in a second, it is crucial that there are no limits for amount of messages to be sent/received in a day. Binary commands support. Apart from standard ASCII messages, binary commands should be delivered as well; this can be required directly by manufacturers’ protocols. Besides, when using messages of this type one can significantly save on a number of SMS. SMS original form. Messages should not exclude characters, for example, spaces at the beginning: such things may not be important for human perception, but for M2M processing it can play an important role. Special characters like “@” or “&” should not be replaced while being delivered. In addition to the above-mentioned functional characteristics, one has to check the ability to work with all cellular operators that are common in the needed region. And, of course, don’t forget about the price and fault-tolerance. In order to meet all the requirements, a GPS tracking platform should provide sufficient flexibility when choosing a method for building SMS communication channel. In Navixy we pay special attention to this issue, so we would like to share some information concerning its implementation on our platform and reveal what opportunities we offer to the partners. Let’s start with the simplest and the most obvious solution. It is your own hardware SMS gateway. Still, we should note that today it is practically not applied for business: private gateways have been replaced by specialized services offered by cellular operators and third-party professional companies. However, in case you are using the “Enterprise Edition” by Navixy, which is designed not for providers but for enterprisers, then this solution is absolutely justified, primarily in terms of cost. 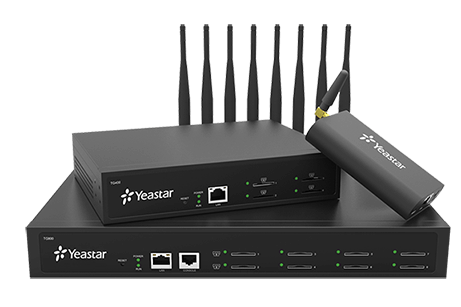 The solution includes integration with the Yeastar NeoGate GSM gateway: all models are supported, starting from a simple 1-channel TG100 to a 16-channel TG1600. In practice, these gateways have limited capabilities due to restrictions imposed by cellular operators on a number of SMS sent per day or per month. Therefore, to provide services for a large number of customers (Provider Edition by Navixy) such a solution may not be appropriate. Twilio. The world’s most famous operator providing digital communication services for business. Its package includes a Programmable Voice service, which allows to select a number belonging to various countries for incoming SMS. With Navixy it is integrated via the Twilio API, which is available without additional approvals: an API key is enough. Besides, Twilio works with most countries and operators. It is often used in the US and Latin America. For other regions, it may not be the cheapest. Occasionally, in some areas, it may have problems with special characters. Nexmo. This name is mentioned as often as “Twilio” internationally: both companies offer services similar in terms of characteristics and quality. 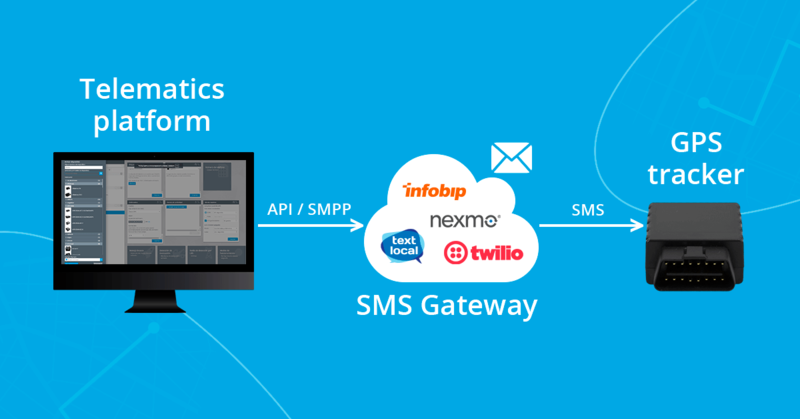 SMS and Number Insight services are integrated with Navixy via the native Nexmo API. Please note that it can have problems with special characters in messages as well as Twillio has, so we aslo recommend to test this service to see how it works with cellular operators that are common in your region. Textlocal. Textlocal is quite a popular provider of business text messaging across the UK and is often chosen for its favorable price. For integration with Navixy, the provider’s API is used. This makes the connection process really simple and provides a partner with all the functionality. Infobip. We would recommend this provider for those who are offering services in the Asia-Pacific region and Africa. Its services are also available in all other continents, but tend to be more expensive there. With Navixy it is integrated through the standard SMPP v3.4 protocol. SMS Traffic. This independent service provider has all the necessary licenses and is well known in Russia and Kazakhstan. The provider rents out fixed numbers for receiving incoming SMS. As for advantages, it offers high throughput and fault tolerance along with a stable operation with local mobile operators. 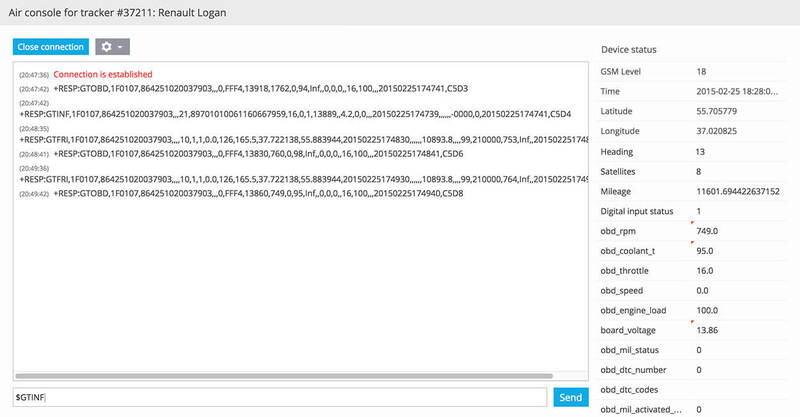 Besides, it supports binary SMS and has an intuitive web-interface. SMPP protocol. Navixy platform can be integrated with almost any mobile operator or SMS service via the SMPP protocol (version 3.4), which is today classified as an industry standard interface. Whereas, such connection parameters as TON / NPI, Default charset, Allowed sender, etc. can be easily configured. In Navixy short SMS messages are used not only for M2M communications, but also for notifying customers about important events such as: geofence exit, deviation from the route, fuel draining, etc. In some cases, when receiving/sending M2M and SMS messages to clients, it is advisable to use different SMS gateways. For example, a budget SMS gateway is suitable for sending alerts to customers but does not permit special characters in M2M commands. Also sometimes partners use a nice looking sender ID for customer notifications, which can not be applied for sending commands to devices. Therefore, in Navixy we allow each partner to use different SMS gateways — one for user notifications and another for communicating with the equipment. In case you offer services to several countries or have to use various gateways for sending SMS in different directions, then SMS routing will be an option. Navixy allows to identify priority SMS gateways for various ranges of numbers. You can also apply a special Fallback policy. For example, if the main (most profitable) gateway is unavailable, SMS will be sent through the next one. SMS messages can bring a solid benefit for GPS tracking and telematics: SMS commands allow to configure GPS trackers automatically, increase geolocation reliability and help solve a lot of problems remotely. You should pick the right SMS service and assess its specifics to organize SMS channel between a monitoring platform and GPS trackers. You should also make sure the GPS tracking system supports this SMS service. We hope the article and our tips have been helpful for you.